USB Data cable transferring is an important process in transferring files. 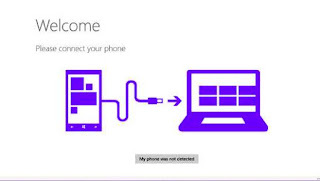 Now you need to know how to connect your windows phone to your PC. If you connected your PC Windows, then you’ll be able to easily transfer files between them. You can also use your phone for internet. So follow the given steps to know how to do the process. Open your computer and your Windows phone. Get a USB cable compatible with a windows phone. Connect the smaller side of the cord to the USB port located at the bottom of the phone. Open Windows Explorer. Click on the folder icon located at the taskbar to open Windows Explorer. For Windows XP and Vista users, you can press the Windows button + E to open up Windows Explorer. Click on Windows phone to open files. Your phone will appear as a new device on the navigation panel of Windows Explorer located on the left side of the window, below “Computer.” Click on the Windows Phone icon to open and explore your files. Once you connect your phone to PC, then you can easily synchronize data (such as your contacts, apps, and photos of your Phone. You can also use your phone as a modem for internet purpose. If you wish to connect your Windows phone to PC with latest USB Driver, then you need to download and install the latest USB Driver of your Windows phone for PC. If you wish to download latest Windows Phone Driver, then click the given link for download Windows phone driver for free. If you wish to read the detailed article of windows phone driver, then click the given link for reading detail article of Windows Phone Driver and download Windows phone USB driver for free.